Deere and Company will lay off 900 workers in Iowa and Illinois to handle an anticipated declines in sales of farm equipment. Deere announced Friday, that 565 employees at three Waterloo facilities will lose their jobs, along with 300 at the Des Moines Works in Ankeny. 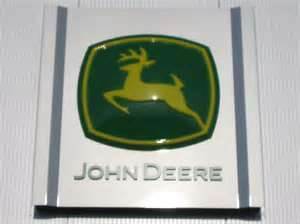 Deere also announced it has added 110 jobs at the Davenport Works and 110 at the Dubuque Works. Both factories make construction and forestry equipment. And Golden says the company had rehired many workers who lost their jobs building farm equipment last year.